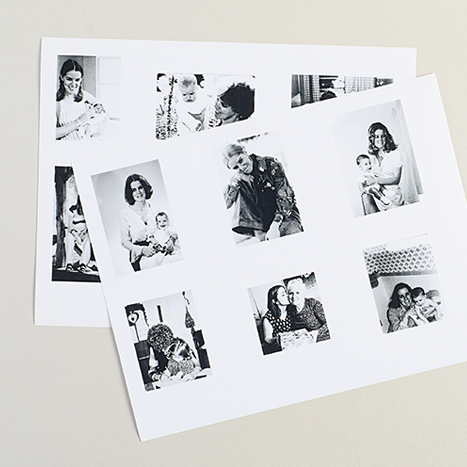 Scale your images down to about 2″ x 3″ and print on 8.5″ x 11″ photo paper. 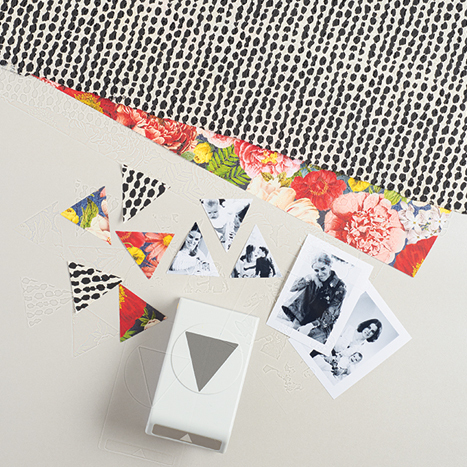 Pennant punch decorative paper and photos. Using the Guillotine Trimmer, trim the 11″ x 17″ paper to 11″ x 14″. 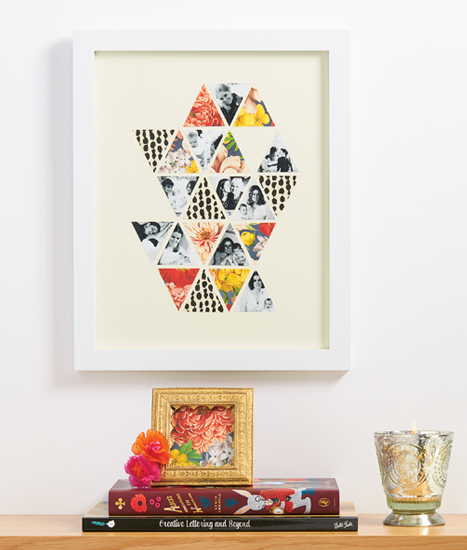 Arrange pictures and decorative paper in geometric pattern and adhere with tape runner to the 11″ x 14″ paper. 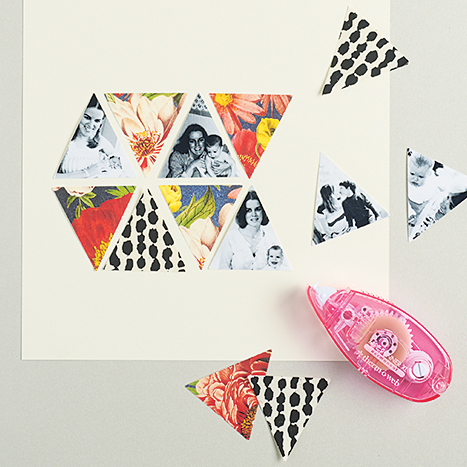 Download and print this guide to take to your local Paper Source for easy shopping and crafting! I love this! Thank you for the great idea. This is such a wonderful idea! I like the fact that it is classy and useful. Definitely going to do this for mom this year. Thanks for the good idea!